Continuing our interview series of public intellectuals across Europe on the causes and effects of the crisis, Euro Crisis in the Press talks to Heikki Patomäki, Professor of World Politics at University of Helsinki and author of a recent monograph on the anatomy of the Euro crisis (published in English by Zed Books in March 2013). Professor Patomäki argues that neoliberal European integration has become counterproductive; the legitimacy of the EU has hinged upon economic growth and welfare-state model which have been undermined by the real world consequences of neoclassical economic framings and policies. Radical austerity measures especially in the crisis-hit countries have worsened the situation and translated into deteriorating support for the Union. He notes that resolving the crisis through treaty-change would in reality mean more than just amending details of the initial agreements; this would necessitate changes to the philosophy and theories that underwrite the EU project. Professor Patomäki calls for a new identity and institutions for the EU, along democratic global Keynesian lines. He sees a role for critical social science research in generating solutions to the ongoing crisis and in doing so fostering hope as an antidote to the desperation seen across Europe. There is little doubt that Europe is undergoing an unprecedented crisis. The crisis itself can be seen as having multiple dimensions: a financial crisis of the Eurozone and the Euro as a common currency, an institutional EU-wide crisis, a crisis of the European post-war social and economic model or even a European identity crisis. From your point of view, what is the most important aspect of the crisis? An excellent question! There are two ways of approaching these multiple crises and their relative importance, and they both point towards the same direction. The first is to investigate the causes of these crises, the second is to envisage viable solutions to them. When I am talking about causes I do not have in mind a simple list of factors, or anything like that. Causes form processual complexes in which many elements – including many actors and actions – could have been otherwise. Some of these could have replaced others with no significant changes in the outcome, while others have been more decisive. But there is also a kind of deep “grammar”, itself historically generated, that is constitutive of many of the major causal elements. Thus we can see a notable degree of unity and wholeness amidst all these differences and complexity. The project of European integration is not reducible to political economy in any simple sense, despite the original EEC focus on coal, steel and free trade. Functional cooperation has been a means to create a pluralistic European unity that can overcome those antagonisms that led to the catastrophes of the first half of the 20th century. But it is through political economy dynamics that this project has become intimately intertwined with the specific world-historical developments of the last four decades. The currency snake and the European Monetary System were in part developed as a response to the increasing instability of the re-emerging global finance. The idea was to create stability at least among the European currencies. Somewhat paradoxically, however, the principles of the EMU were grounded in neoclassical economic theories such as new classical macroeconomics and the rational expectations theory by Barro, Lucas, Sargent and Wallace, and others. These theories were on the rise in the 1970s and 1980s, basically professing that for good economic performance, you only need free capitalist markets (including deregulated financial markets) and a stable, reliable and anti-inflationary central bank. These ideological underpinnings are not specific to the EMU, but the hybrid nature of the EU poses additional practical difficulties. While the Euro countries have high rate of taxation and public spending, and a developed – though eroding – social model, they have given up many instruments of economic policies in favour of transnational free markets arrangements. More than anywhere else, monetary policy has been detached from fiscal policy and insulated from politics. It is this pure neoclassical and monetarist form that has made the EMU especially vulnerable to shocks. The absence of mechanisms to balance deficits and surpluses within the Eurozone is a case in point, the apparent hope being that free markets will adjust things automatically. The Euro crisis is essentially a second phase of the epic recession that began in 2008-9, in turn an outcome of the long-term process of financialisation and the consequent instability of global finance. A worldwide boom was followed by a big crash, which in effect transformed piles of private debt into public debt. The crisis packages and stabilisation mechanisms have reinforced and deepened free market policies by means of austerity, cuts, privatisation and flexibilisation. As many EU countries implement deflationary policies simultaneously, the overall efficient demand falls across Europe and, to a lesser extent, in the world economy as a whole, with further negative effects. The effects are the strongest in countries, which face the strictest financial constraints and are pushed to implement the harshest structural adjustment programmes. Unemployment becomes more acute, particularly in the crisis-hit countries, but also across Europe. Under these circumstances the social model becomes threatened; in some places it is already obliterated. Since WWII political legitimation has, for a large part, been based on economic growth and the welfare-state model of democracy. The current developments tend to spell declining support for the EU-project, in spite of the historically high levels of affluence and the long life expectancy. European integration appears increasingly counterproductive. What is more, commodification and de-democratisation tend to make society meaningless and human prospects appear bleak, though people are quick to invent substitutes in fantasies and other things. The leaders of the Union can still cite human rights, rule of law, democracy and good governance as the normative basis of Europe, but claims to “normative power Europe” ring, word by word, hollower in the ears of many, not least because these principles are so close to neoliberalism in substance. The European events, turns and crisis meetings of the past three years are external traces of these internal contents, or grammar of speech and actions. The most important aspect of the crises concerns these internal contents, generating those events and episodes that many EU citizens not only follow on TV news but experience as hardening conditions of life and employment. There are multiple historical layers of determination of these internal contents. The period from the early 1970s to 1992, from the breakdown of the Bretton Woods system to the establishment of the Maastricht Treaty, was especially important. The re-encoding of the inner grammar – at the time highly contested – was a result of prior class-dominations, multi-class collaborations and other social conflicts and solidarities that were played out in the globalising world characterised by a structural discrepancy between territorial states and liberal world economy. A related process was the gradual piecing together of the causes of the 2008-9 global crisis and the underlying causal mechanisms that Hyman Minsky and others have examined. What about the potential policy responses that you think would be effective and justified also in more general normative sense? What do they reveal about the different crises and their internal and external connections? There are a few policies that could quickly accomplish the alleviation of the situation. It is possible to tap into some already existing underutilised EU-resources, although the sums are not very large, and change practices of lending through the EU-systems. Domestic demand can be increased in some surplus and high credit-rating countries. Especially Germany could do a lot to lift the Union from recession. And yet already these measures would require modifications to the prevalent framings of the crisis. The Outright Monetary Transactions’ Programme (OMT), established by the European Central Bank in summer 2012, has succeeded in calming the bond markets at least temporarily. This is a program under which the ECB can buy bonds issued by Eurozone member-states in secondary, sovereign bond markets, but only on conditions of strict structural adjustment in those countries. Although the ECB has promised to absorb all extra liquidity thus injected from the markets, the OMT constitutes, in effect, a promise to print money in order to keep member governments solvent and their interest rates down. The Governing Council of the ECB could revise their interpretation of the required conditions and thus enable expansionary policies – this would make the clash with the basic EU treaties only a bit more obvious. As we can observe, however, the prevalent “grammar” of speech and actions is making it difficult to realise what in fact could be done within the existing institutional framework. Moreover, resuming very modest economic growth under the conditions of structural adjustments and on-going processes of financialisation and commodification would not as such resolve the multiple crises of the Union. The refashioning of the EU Treaty would not concern only details of the founding documents; they would require changes to their underlying philosophy, to their economic theories, and to their theories of legitimation. Approval of a new constitutive treaty would require broad agreement on the new direction of integration. Such a scale of agreement can be achieved only with broad-based, highly visible political movements to work for the foundation of a federal social democratic EU. Moreover, a new Treaty or Constitution would have to be approved by EU citizens. But first, something has to change in the background context, enabling new rounds of public contestations over the inner grammar now driving developments both in the Union and, with somewhat different texture and dynamics, in the global political economy as a whole. I can envisage only two possibilities, which may be a sign of lack of imagination on my part: a strong movement emerging spontaneously under the current situation or an even deeper crisis, either involving partial disintegration in Europe or a worldwide depression. A rational democratic society learns and transforms itself easily, whereas a non-learning society becomes, with no trouble at all, blind, and “is driven, like bullet or torpedo, wholly by its past”, to quote Karl Deutsch, a favourite political theorist of mine. This may indeed be the fate of the EU. In my preferred scenario – which I also consider to be the most sustainable one – the EU develops a new identity, new institutions, and its democratic potential, as part of a democratic global Keynesian system of governance. Economic development, and especially the formation of effective aggregate demand, must simultaneously be seen from the standpoint of all actors and countries. The conditions in which actions are taken form a whole in which the various parts are mutually dependent. Furthermore, the EU is intertwined with the dynamics of the world economy and its governance not only causally but also through internal relations. Both are co-constituted by many of the same norms, rules and principles and the EU itself is part of the complex system of global governance, professing many UN-based notions. Struggles over the fate of the EU are thus also struggles over the future of global political economy. Legitimation theory also points in the same direction as politico-economic interconnectedness. The objective of ethico-political deliberation is to find norms, which all affected can freely accept in terms of their inherent merits, likely consequences and potential side effects. They must be accepted by all parties irrespective of race, gender, age, nationality, worldview, or even present conditions, since valid norms must sometimes take into account future generations. The criterion of generalizability thus applies to all human beings, including future ones, and maintaining this principle implies ethically and politically responsible world citizenship. Making world citizenship a practical reality requires world domestic and economic policies. We are not only talking about inter-actions between systems, but also intra-actions in which the EU is a part of a wider whole. Europe shares a currency but is socially, culturally and politically heterogeneous. On account of the crisis some even speak about a growing and perhaps irreparable rift between the European north and south. Do you think the crisis will exacerbate these divisions or rather strengthen European solidarity? Since assuming the current neoliberal form, and expressly since the establishment of the Euro, the European project has become ever more counterproductive. The aim is to unify Europe, but increasingly the effect is a deepening of many of the existing divisions. Discussions about the possibility of disintegration have multiplied across Europe. Many crises-countries remain on the brink of a collapse, which may lead to exit as some level, whether the leaders of these countries like it or not. At the other end, George Soros, Oskar Lafontaine and a number of German economists have been demanding Germany’s parting from the Euro. Meanwhile in the UK, David Cameron announces his intention to hold a referendum about Britain’s membership sometime in 2016-17. Neoliberal nationalism is ready to fight even a slightest move towards a fiscal union. Soon after Cameron’s announcement, public polls in France and Germany indicated wide support for British exit (frankly speaking, for years I have myself been entertaining the idea of Brixit as not only a negative possibility). Then there is, as you mention, the widening rift between the European north and south. If you listen to the stories people tell in different parts of Europe about their European others, it becomes quickly evident that the spectre of the past has returned. Too often these stories rely on national stereotypes and imply a negative judgement on the generic character of, say, the Greeks, Italians or Germans. There is still plenty of public support for the European project, and apart from Cameron, few European leaders openly question the wisdom of staying on board. But societal undercurrents are important. Categories, ways of legitimization and myths are sedimented into the layered structures of discourses, from where they can be drawn – also for strategic purposes. The process of labelling can become self-reinforcing. Furthermore, there are people who are considered to be, or labelled as, outsiders to Europe, whether they are living inside or outside the Union. With regard to its external borders, Europe is in many ways a fortress, yet there are numerous migrants in Europe. Growing inequalities and high unemployment in the context of perceived further influx of immigrants can create and intensify social antagonisms developing increasingly paranoid, nihilistic, or even fundamentalist characteristics. Again it is important to contextualise this negative potential adequately in relation to other tendencies and trends that may go in opposite directions. While I think there are good reasons to be pretty concerned about phenomena such as the Golden Dawn in Greece, there is also a long and sweeping megatrend of declining violence in human affairs. This is a result of a heightened sensitivity to violence and of the growth of internal and external methods for the control of aggression. Both can be understood in terms of collective moral learning, aided by formal education and, more recently, by longer, healthier and often wealthier lives, not least in Europe, but worldwide. It is also good to bear in mind that fewer and fewer Europeans are young males in their 20s ready to fight. We Europeans are getting older and perhaps also a bit wiser. In a nutshell, my argument is that there are real tendencies for, and actual trends of, widening rifts and divisions in Europe, but there is also room for improvements, some genuine potential for good. We critical social scientists and activists would have to learn to tell better stories about where we are going, about how we should evaluate current developments and about what should be done. I consider it much more likely that a strong spontaneous movement will emerge out of sentiments of hope rather than from desperation. Of course we need a realistic analysis of the existing dangers and whatever potential there may be for dystopian futures, but the saddest thing I can imagine is that critical social scientists contribute to apathy and can only see things causing negative futures, thus reinforcing those very negative tendencies they have so carefully and critically examined in their studies. How would you assess the effects of the crisis in Finland? Finland is totally interwoven with the developments in the European and global political economy, not only through trade but through complex commodity chains, multinational corporations and financial relations. The programme of the current six-party coalition government is premised on economic growth that can in no way be reached because of the European recession. 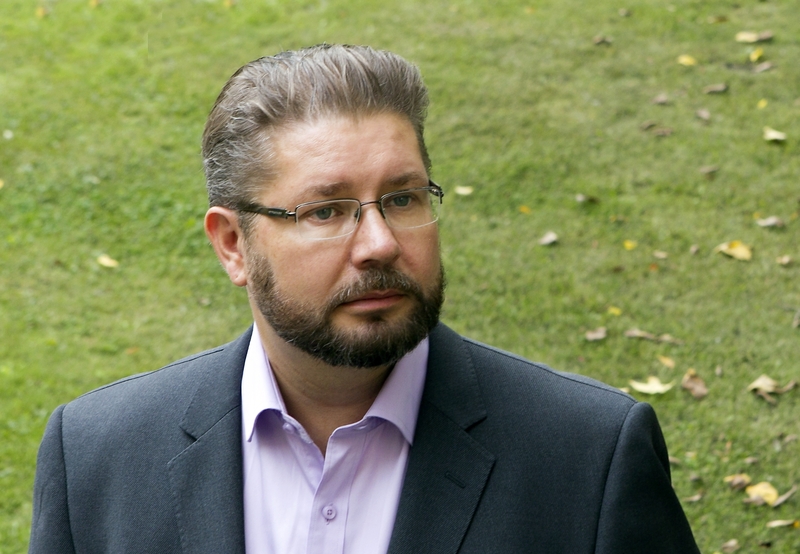 The Finnish government is in its small part responsible for this recession, since it has actively furthered the imposition of countless austerity measures on the crisis countries and the establishment of the European Stabilisation Mechanism, austerity treaty, two-pack, six-pack and other new institutional arrangements. While Finland is one of the few EU-countries still below the 60% public debt ratio and the country remains AAA-rated, the current government aims at reducing both the absolute level of public spending and the public debt-ratio. Under these partly self-imposed circumstances austerity measures are getting tougher on Finland too and may even spell a political crisis next winter. The lesson of the Finnish case is that it is an illusion to think of one’s own nation or state as an island that can be separated from the problems and crises of others. John Donne wrote in 1624 that “no man is an island, entire of itself”. How true this is for a small country like Finland in today’s global political economy! Are there any further important dimensions of the crisis which you think have been missed or under-analysed? Yes, I would like to stress not only how things are interconnected but also various counterfactual possibilities which reveal how things could have been different in the past and can be otherwise in the future. Let’s take another look at the decisive period from 1971 to 1992, when the currently efficacious internal “grammar” of the Union was forged upon earlier layerings. This was also time of increasing financial instability and a debt crisis. When the United States government and its Federal Reserve decided to raise interest rates in the late 1970s and early 1980s, primarily for domestic reasons, many countries in the global South were suddenly in great difficulty. The resulting “third world” debt crisis has taken several fateful turns since then, and in many of the worst-affected countries it still continues in various guises. The debt crisis in the global South spurred a worldwide campaign with the central institutional aim of establishing an international debt arbitration mechanism (a major part of the campaign was advocating one-off forgiveness, but that was short-sighted). A common and permanent mechanism treating all parties as equal still does not exist, even when at one point members of global political elite started to speak in its favour, and although some rather minor advances towards controlled debt restructurings have been achieved. The campaign stopped short of achieving its main aim. In short, the Euro crisis has had many different causes, and those causes obviously involve real actions, structures and mechanisms. Also absence can be a cause, however, as the absence of a sprinkler can be a cause of a major fire. In this sense the absence of a fair global debt arbitration mechanism can be seen as a cause of the Euro crisis. Although such a mechanism, had it existed, would not have removed the inadequacies and internal contradictions of the European Monetary Union, nor those of the global political economy as a whole, it would have been likely to changed the course of the beginning of this decade by deferring the worst effects of EMU’s shortcomings, and perhaps also by preventing debt levels from mounting so much and so rapidly. But because the third world debt campaign was unsuccessful in creating new global institutions, Europe too has now become a target of the International Monetary Fund’s structural adjustment doctrines. Of course, when we explore the conditions of a successful debt arbitration mechanism further, we can see that effective debt restructuring depend crucially on the broader economic policy context within which the negotiations are conducted. For debt arbitration to have reasonable chances of success, overall financing must have sustainable foundations. At the same time, there must be possibilities to intervene in the mechanisms of the world economy that create debt. Above all, there is a need for means of evening out trade deficits and surpluses, since chronic deficits tend to lead to debt accumulation. Many other reforms are clearly needed. The point is, however, that even at the time of ascendancy of neoliberalism, the third world debt campaign came relatively close to achieving something that would have had long-terms effects on world history. The current times are different. There are good reasons to expect that the neoliberal era is coming to an end as a result of declining rates of growth, rising inequalities, major financial crises and lack of meaning and direction, perhaps in a relatively short-term future, starting in this decade and culminating in the 2020s. The window of opportunity for changes is becoming wider. 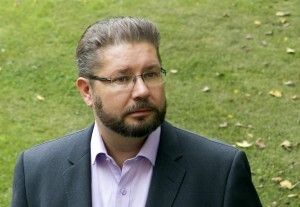 Heikki Patomäki is professor of world politics at the University of Helsinki, Finland. This entry was posted in Finland, Interviews and tagged austerity, Neoliberalism. Bookmark the permalink.